By now, you’ve probably heard about the FCC’s new “Broadband Plan,” and the onus it places on video providers. Refresher: This time the outcome – whatever it ends up being – will apply to all multichannel video providers, not just cable. By December of 2012. If you lived through regulatory chapters that bequeathed the one-way CableCard agreement, then the two-way deal that wound up as the tru2way landscape, the relief is palpable. This time, everyone gets their hands tied behind their backs. Yay. Never mind that every new HDTV and 3DTV at this year’s Consumer Electronics Show came with Ethernet and/or Wi-Fi. By next year, you won’t be able to buy one that doesn’t have a broadband connection. The lingual history of video technology contains two camps: Gateways, and set-tops. “Gateways” almost singularly hail from the Internet-y, broadband-y, IP-heavy side of the scene. This is neither good nor bad; it just is. A gateway, in this context, is a cable modem tricked out with accoutrements that give it more of a foothold into traditional TV. Set-tops, by contrast, started with TV, and are increasingly tricked out with stuff that makes them more useful to IP, broadband, and other screens than the TV. 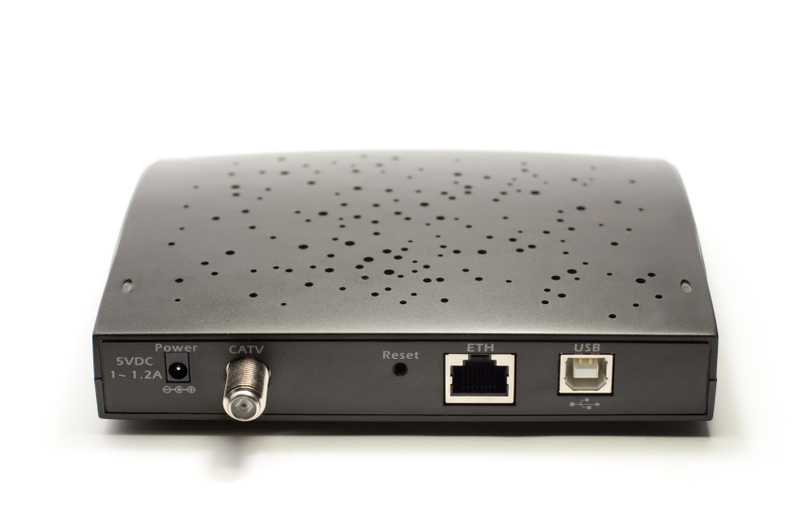 Most advanced set-tops used in cable, for instance – think dual-tuner HD-DVR units here – come with an embedded DOCSIS cable modem. So far, that built-in DOCSIS modem does business-side signaling, like conditional access and encryption data, guide updates, behind-the-scenes activities. But it’s there. So, modems with video spigots, or, set-tops with broadband spigots. That’s why it’ll be worth watching, with vigilance, what the FCC means by the words “or functional equivalent.” Those three words should produce an actual bill of materials for the “gateway,” so we can see the specifics of what’s probably already there anyway. Gateway Device, or Functional Equivalent? Nothing like the FCC’s 360-page National Broadband Plan last Tuesday (March 16) to eviscerate an otherwise sunny day. If you’re a set-top person, go directly to page 51. Chapter 4 is mandatory reading. Brace yourself for violent sputtering – whether you’re rooted in cable, telco, or satellite video. Translation: Smells like another attempt by the consumer electronics side to usurp video content and first-screen navigation. Change the architecture of all video distributors. Change the business models. Simple! Make it so that CE manufacturers can sell TVs, with content, and a guide to navigate that content. And if you continue to do it your way, video distributors, make it so that everyone else can do it your way too, if they so desire. This story stretches back 25 years, to analog. Multiport, anyone? There is one glimmer of hope in 4.12, in the words “equivalent functionality.” This could mean set-tops, increasingly rigged with broadband IP connections anyway. Or the cloud. Or whatever it turns out to be. The second FCC recommendation (4.13): Mandatory, accelerated rules to make cable fix any remaining CableCard problems. By autumn of this year. Translation: Hello, TiVo. This sounds just like you! Almost word for word. How a cable-specific recommendation wriggled into a plan that is otherwise all-inclusive is one of many puzzlers about 4.13. So far, the capital cost for cable to launch 20 or so million CableCard-equipped boxes is pushing past $1.2 billion. Only cable was commanded to perform this “innovation.” Not telco, not satellite. CE was in, but they pulled out. Yet somehow, the absence of a retail market for set-tops is cable’s fault. One: Everybody who sells multichannel video is in this cauldron. Not just cable. For once. Two: What’s next is probably a “Notice of Inquiry.” That’s better than what could’ve happened: Go directly to rule-making. SAN FRANCISCO — For the fourth year running, interactive TV icon Tracy Swedlow hosted her eclectic “TV of Tomorrow” gathering March 3-5 in the visual feast that is the Yerba Buena Gardens. Noteworthy trends from this year’s TVOT: Managed versus unmanaged, “TV Everywhere” versus over-the-top video, and how to get real about the tsunami of data flooding service providers. Watch for this “managed network” phrasing to stay front and center this year. A “managed” network is one that applies technological QoS (Quality of Service) mechanisms to ensure a consistent, high-quality, “five 9s” experience for the stuff you get from service providers – voice, video, broadband. The opposite of the “managed network” is, in essence, the general chaos of the Internet. Best effort access. What you’re doing on the Internet, elbowing against whatever everybody else is doing. More and more of what everybody’s doing on the Internet is video – and video is the fatso of the Internet, relative to data and voice. Which brings us to “TV Everywhere,” versus “over-the-top” video. Consensus definitions from TVOT: TV Everywhere exemplifies a “managed” service. It extends existing TV viewing rights from traditional multichannel video providers, to other screens. It gives Internet-based access to the TV subscriptions people are already paying for. At TVOT, and despite what seemed like a 50/50 audience split between people on the managed/TV Everywhere/cable side, and the unmanaged/over-the-top/whippersnapper side, prognostications about which side wins came in repeatedly as a tie. My favorite clarifying comment about the debate came from Ian Blaine, who runs thePlatform — a company straddling the managed and unmanaged worlds to make video play on multiple screens. Also a big topic at TVOT: That data tsunami, simultaneously the key to the monetized future, and a matrix of pain growing exponentially in every direction, every second. Data is daunting, no doubt. But how else can you learn that people who watch the Sci-Fi channel are more likely to own cats? True, according to recent Rentrak data. And probably useful info to someone like, say, Purina. Recall that EBIF’s blessing and its curse is its reach: It was designed, five years ago, with a single intent: To trigger interactive elements into TV shows and ads, across the widest possible base of digital set-top boxes. For that reason, the many features within IO6 deal mostly with lowest common denominator issues in older digital set-tops. Specifically, the substantial lack of processing power, memory, and graphics abilities in those (very) early, DCT-2000-era set-tops. This week’s translation highlights two improvements, of about 10, within EBIF IO6. First is “support for unbound applications,” meaning a way to interact with things not correlated with whatever show or ad is airing. 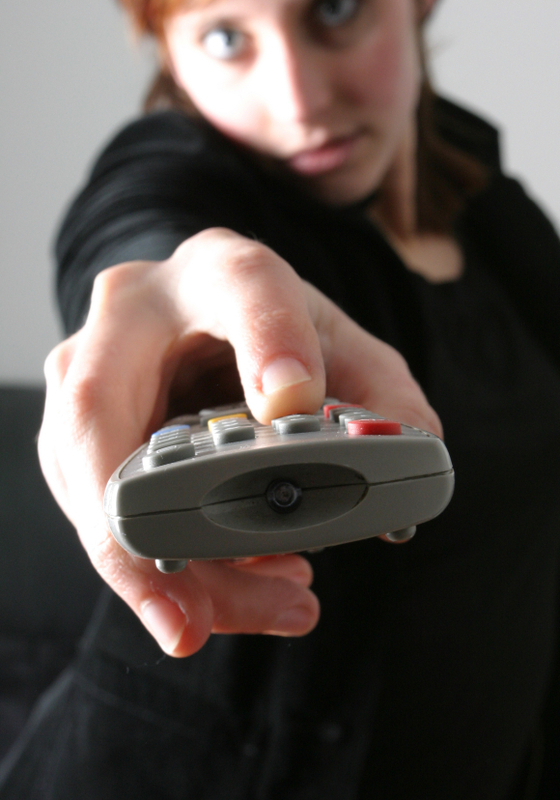 Think buttons on the remote, to invoke the guide, or fetch an on-demand title. Ask lots of questions on this one, because it all ties back to the big lowest common denominator issue that is the out-of-band signal path in those older set-top boxes. Short version: “Out of band” is the inverse of “in-band,” and refers to a spectral location uncorrelated to the frequencies that carry video. In general, it’s a control path, used to shuttle guide data, software updates, and security information to and from set-tops. Doing unbound apps in EBIF is tricky because the two main brands of fielded boxes (Cisco and Motorola) use two different ways for moving data to and from boxes, out of band. So, even though IO6 “supports” EBIF, extra care and feeding will assuredly be required, at an MSO by MSO level. CableLabs is calling I06 a “candidate spec,” which leaves wiggle room for revisions before it’s final. Watch for a final version in the summer timeframe, with gear and trials in 2011.